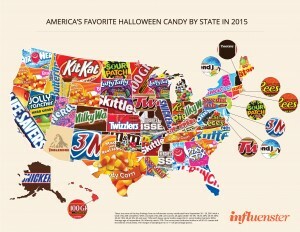 – the only state to do, in fact, despite the delicious chocolate-covered wafer bar’s appearance in the Top 3 for every single state. It just goes to show we’re pretty good at following trends without being, well, too trendy. If that makes sense. ious question: So what wine do we pair with THAT? Good news. Our friends at VICE have figured it out for us. 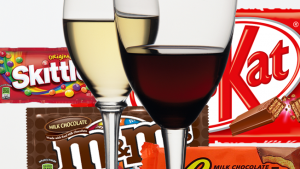 According to “A Completely Serious Guide to Pairing Overpriced Wine with Garbage Halloween Candy” we’ve got a couple choices: Guiness Stout, or Billecart-Salmon Demi-Sec NV. First of all, Guiness Stout is not a wine? And second, what is this Billecart-Salmon thingy anyways? According to our Googler machine, it’s an off-dry Champagne with a “floral, honey character” comprised of 40 percent Pinot Meunier, 30 percent Pinot Noir and 30 percent Chardonnay. The VICE pairer said its creaminess complements the milk chocolate sweetness of the Kit Kat as well as the malted wafer within. 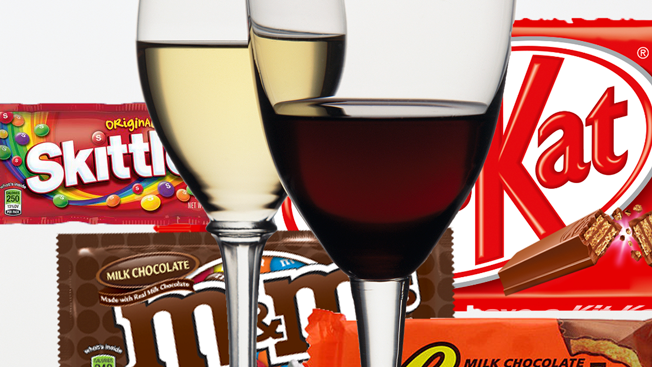 If Kat Kat’s not your thing, check out the entire list of pairing suggestions HERE. Again, they’re completely serious – as you should be too. After all, Halloween can be terrifying for an adult.